Congratulations to Port Harcourt's finest! the most glamorous AGN president, Ibinabo Fiberisima as she prepares for her wedding, the Ex beauty queen/actress confirmed this in a recent interview with Encomium Weekly. According to the actress, she has known her fiance from her university days and is very sure that he is the one for her, the wedding will take place in Port Harcourt. She revealed that her husband love children just as much as she does. 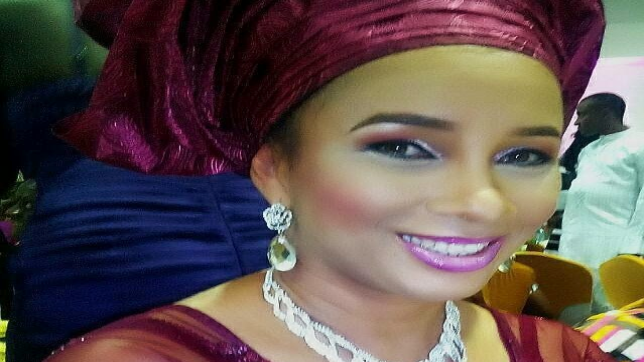 Ibinabo is a mother of three and her fiance is also believed to have children of his own. In an earlier interview she said her kids and his planned their union and were excited when it was official. The president of Actors Guild of Nigeria told the magazine that her favourite thing about her husband-to-be is that he absolutely adores her and her children. "I have a complete family. so i dont think i've lost anything. Together with my husband i can achieve more"
Ibinabo also said "My husband inspires me, i am looking more beautiful because he is pampering me with love, affection and uncommon attention". We are definitely happy for you. Never say Never! Congratulations once again.